The images of the Mushroom Kingdom warfare you see above and below are the work of Hakashidnrc, inspired by the Mario Warfare video released a few months ago. 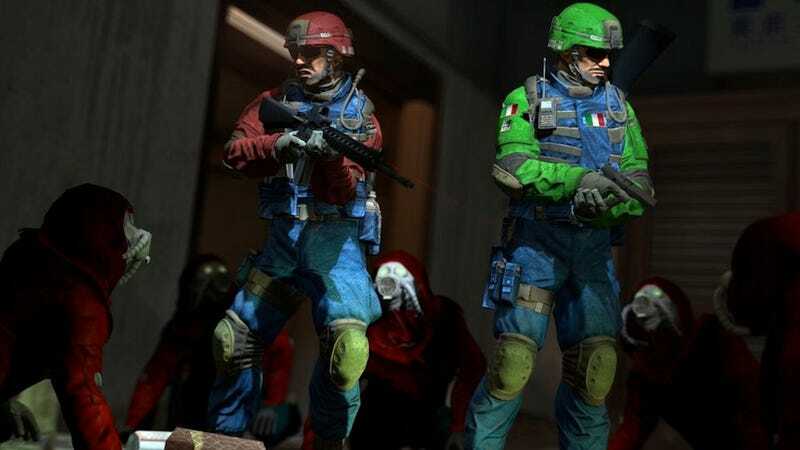 The retextured skins of military combatants turned into Mario and Luigi will apparently be released for Garry's Mod, according to the artist. You might even recognize the retexturing of ghost people from Fallout: New Vegas in the image above. My favorite, though, is the second one you see below. Toad is dressed as a soldier and is riding a dinosaur (Yoshi). Your argument is invalid.